How can I ask for text input when a multi choice option is 'other'? 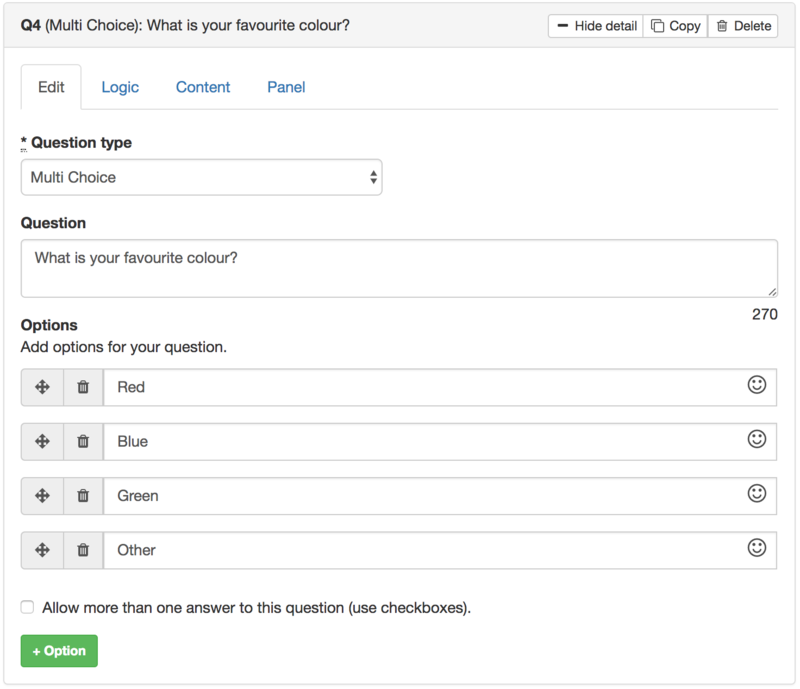 For multi choice questions either with single selection or check box selection it is common to also have an 'other' option. In this case if you want to prompt the user to provide more info about their answer you can follow up with a "text" question. 1. Open the Survey design page for your survey. 2. 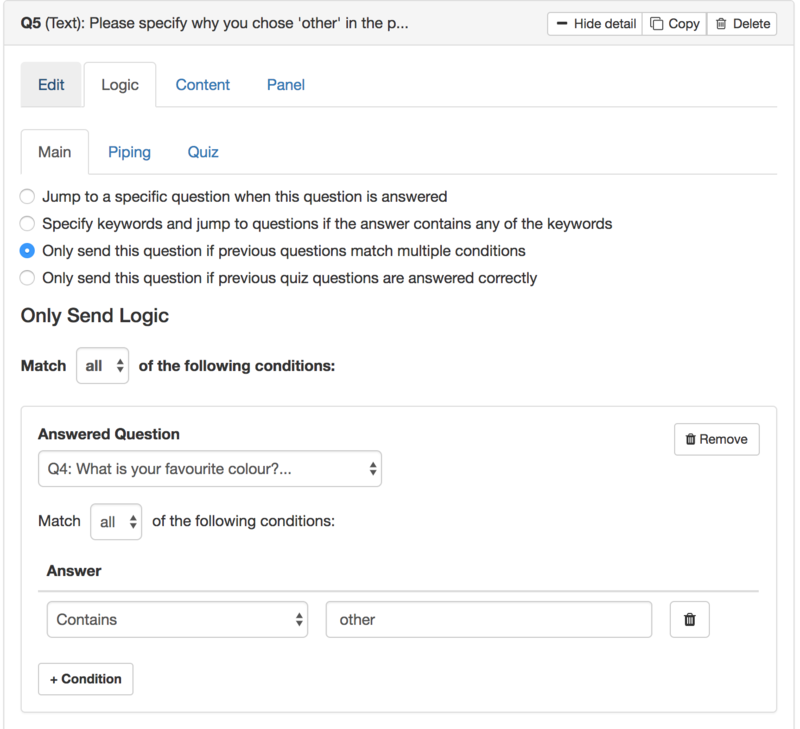 Create your Multi-choice question with an option labelled 'other'. 3. Next add another text question to ask for more details from the respondent who has chosen 'other'. 4. Now we'll setup logic to only send this question if the respondent chose 'other' in the previous question. 1. Select the 'Logic' tab on the question. 2. Select 'Only send this question if previous questions match multiple conditions'. 3. Under 'Answered Question' choose the previous question. 4. Under the 'Answer' conditions add a condition with 'contains' and 'other' in the text box. 5. Now whenever a respondent chooses other for the question this follow up question will be sent. If the respondent doesn't choose other then it won't be sent to them.